You may be able to help prevent or delay the onset of these and other eye problems with a high intake of certain nutrients, including vitamins. However, don’t attempt to self-treat any eye condition with supplementary vitamins unless you are under the supervision of a doctor, as some have potentially harmful side effects and may interfere with the function of certain medications. Your eyesight is your most precious sense. Add the foods on this list into your weekly list to keep your eyes beautiful, healthy, and well protected. 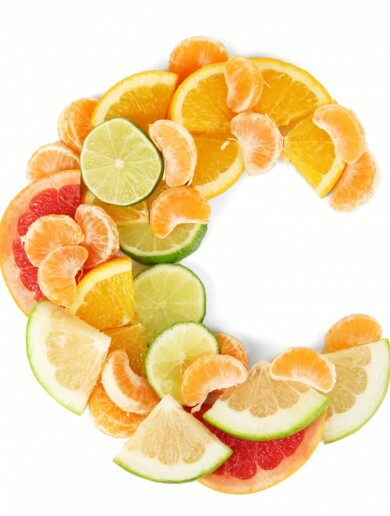 People with age-related macular degeneration could lower their risk of irreversible vision loss by taking a combination of vitamins, one of which is vitamin C.
Excellent sources of dietary vitamin C include citrus fruits, vegetables and fruit juice. 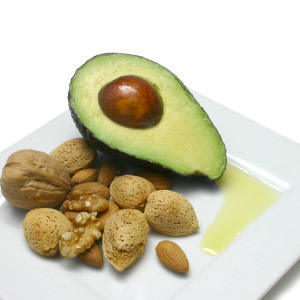 Most people get enough vitamin E to fulfill this requirement from foods including nuts such as almonds, avocados and vegetable oils. 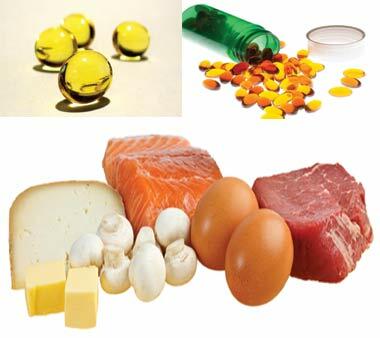 Vitamin E’s strong antioxidant properties helped make it effective against macular degeneration. Taking supplemental vitamin E along with vitamin C may also treat uveitis, a condition in which one of the layers in the eye becomes inflamed and obscures vision. Your body needs vitamin A to produce rhodopsin, the receptors in your retina that allow your eye to react to light. Without enough vitamin A in your diet you may be unable to see in dim light, a condition known as night blindness. A severe or prolonged vitamin A deficiency can ultimately result in corneal ulcers, scarring, and eventually, a complete loss of vision. Vitamin D can help inhibit tissue inflammation and the development of abnormal blood vessels that contribute to the eye condition. Your skin synthesizes some vitamin D when you’re exposed to direct sunlight, but good food sources include eggs, fatty fish such as salmon and vitamin D-fortified products like breakfast cereal or milk. Adults should aim to get at least 600 IUs of vitamin D daily. It is always a good idea to consult with your eye doctor to discuss your options. Drop into 20/20 Eyeglass Superstore for all your eye care needs. We look forward to becoming your trusted source for everything related to eye care, glasses and contacts. It’s important to schedule routine eye examinations at least once per year. Even if you are not experiencing changes in your eyesight you could already be manifesting very serious eye conditions that you are not aware of. It’s always smart to have a check up! If you are in the Orlando area, come and visit 20/20 Eyeglass Superstore or call us at 407-767-5600 407-767-5600 and make an appointment. Please check out our site 20/20 Eyeglass Superstore and for any questions please refer to our message us page or call one of our 3 stores (Orlando, Melbourne, Orange City). You can also a schedule an appointment with an Independent Board Certified Optometrist. With so many choices out there, you’ve probably found yourself a little overwhelmed when shopping for glasses at some point or another. Drop into 20/20 Eyeglass Superstore for all your eye care needs. We have a frame for every face and a price for any budget. We also have Independent Optometrists located on site who will be happy to examine your child’s vision. Walk-in’s are welcome but we ask that you come 15 minutes prior to your desired appointment time. Winter Park, Melbourne, and Orange City. We are proud to feature thousands of frame styles, lenses from the leading manufacturers, and sunglasses from the brands you love and trust. 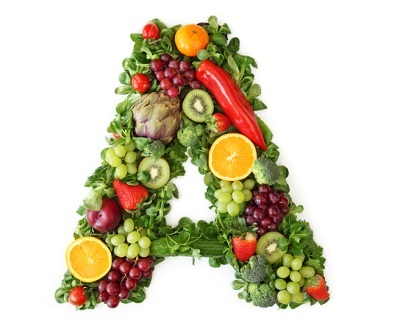 Deficiency of vitamin A can cause some difficulty seeing in dim light. Since carrot is rich in vitamin A it is good for improving eyesight.Macular Degeneration Prevention. 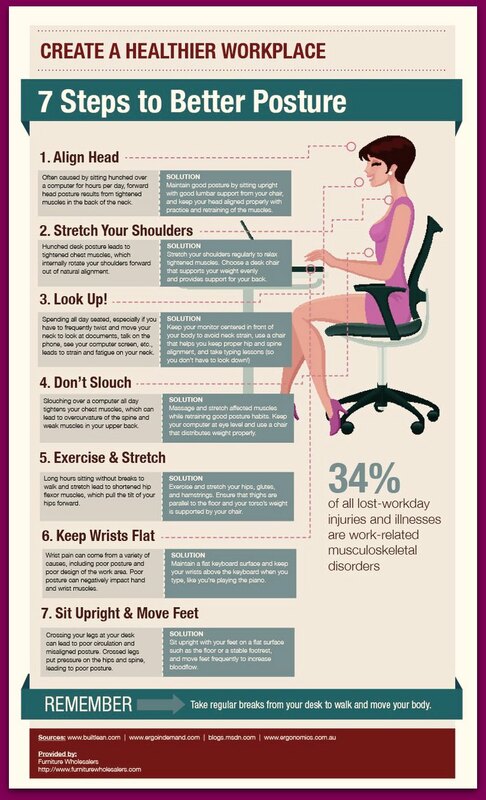 To read more about benefits of Peachy Keen Click here. Your eyesight is your most precious sense. Add the foods nutritions on this list into your weekly diet to keep your eyes beautiful, healthy, and well protected. Your vision is priceless and it is important that you maintain your visual wellness by scheduling a yearly comprehensive eye exam with your optometrist or ophthalmologist. Acanthamoeba is one of the most ubiquitous organisms in the environment, but rarely causes infections. When infection does occur, however, it can be extremely serious and vision threatening. By educating yourself about the symptoms and risk factors for Acanthamoeba keratitis, you can help protect yourself from this potentially sight-threatening infection. The best defense against Acanthamoeba keratitis infection is proper contact lens hygiene. See the Lens Care Guide for detailed contact lens care instructions. A red, (frequently) painful eye infection—especially if the discomfort does not improve with treatment. Foreign body sensation, tearing, light sensitivity, and blurred vision. Red, irritated eyes lasting for an unusually long period of time after removal of contact lenses. Use of tap water in cleaning and disinfecting contact lenses—including the lens case. Swimming with contact lenses in the eyes, especially in fresh water lakes and rivers. Acanthamoeba keratitis has also been isolated from virtually all water sources—from pools to hot tubs to showers. Failure to follow lens care instructions (see Lens Care Guide below)/poor compliance. Use only sterile products recommended by your optometrist to clean and disinfect your lenses. Visit 20/20 Eyeglass Superstore as well. Here are our current eyeglass discounts: Share the buy-one-get-one-free with a friend or family and we’ll pay for the eye exam, a six month supply of Acuvue Oasys contact lenses for $119, two pairs of super strong light weight polycarbonate lenses plus two frames for $149 and we’ll pay for the eye exam and get a new look for the new year with 20-25% off the buy-one-get-one-free offer and we’ll pay for your eye exam or give you an in-store credit. Even if you are not experiencing changes in your eyesight you could already be manifesting very serious eye conditions that you are not aware of. It’s always smart to have a check up! If you are in the Orlando area, come and visit 20/20 Eyeglass Superstoreor call us at 407-767-5600 407-767-5600 and make an appointment. 20/20 Eyeglass Superstore is Central Florida’s premier eye care provider with three locations in Winter Park, Melbourne, and Orange City. We are proud to feature thousands of frame styles, lenses from the leading manufacturers, and sunglasses from the brands you love and trust. Every family owned 20/20 Eyeglass Superstore location features its own independent doctor of optometry as well as an in-house lab to ensure you receive your new customized glasses in as little as one hour. Our technicians maintain the highest standards of technical skills with the latest in eye care technology. People who suffer from dry eye often experience symptoms such as burning, itching and redness. Over-the-counter artificial tears may help relieve symptoms, but, for chronic sufferers, the discomfort and irritation return. This discomfort will often prompt people with dry eye to search for alternative treatments, such as aloe vera, a plant well-known for its soothing properties. A tear film made of three layers coats the surface of your eye, and if any of these layers has a poor quality, you may experience dry eye. Another cause of dry eye occurs when your eyes fail to produce an adequate amount of tears to coat, nourish and soothe your eye. The leaves of the aloe plant contain a thick, gel-like substance that can help soothe burns, dry skin and other conditions. Aloe vera gel cannot improve your tear film or increase the amount of tears you produce. You should not place aloe vera gel directly in your eye since this may increase the discomfort and irritation on the surface of your eye. If you feel that aloevera could help your dry eye symptoms, you should talk with your doctor before applying the gel or other aloe era solution. Your doctor may suggest applying a small amount at first, and this will help you determine how well the surface of your eye will tolerate the aloe. 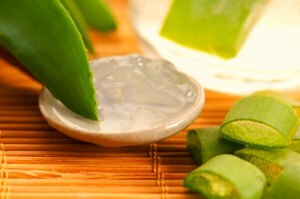 If you experience any adverse reactions to aloe vera near your eye, discontinue use immediately. Here at 20/20 Eyeglass Superstore, we’re concerned with keeping our Orlando patients’ vision as healthy as possible. We also want you and your family to have healthy eyes. Drop in to any 20/20 Eyeglass Superstore location or schedule an exam online.